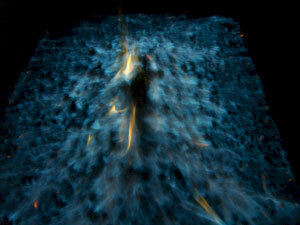 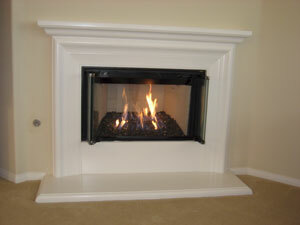 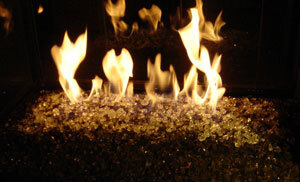 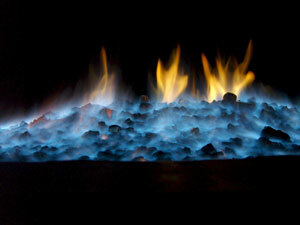 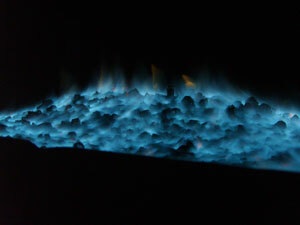 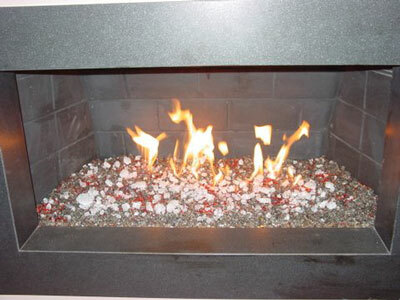 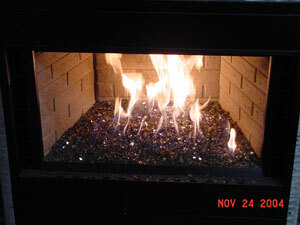 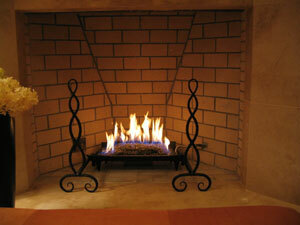 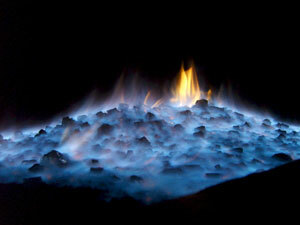 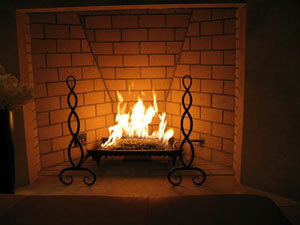 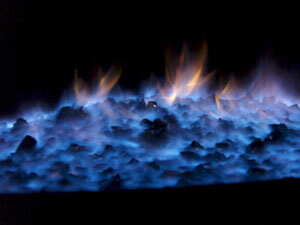 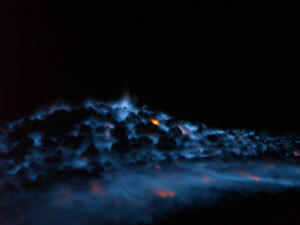 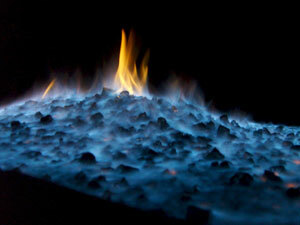 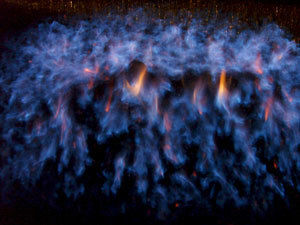 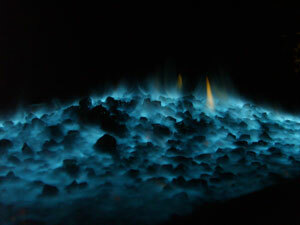 On this page we will be posting some real cool fire flame pictures. 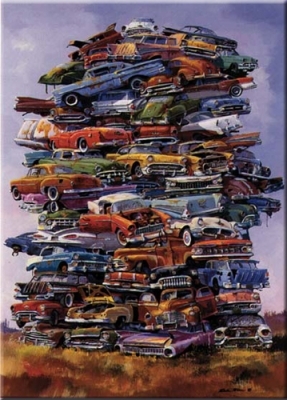 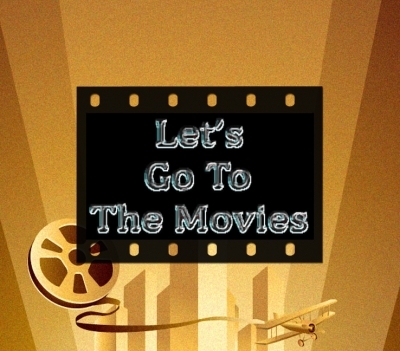 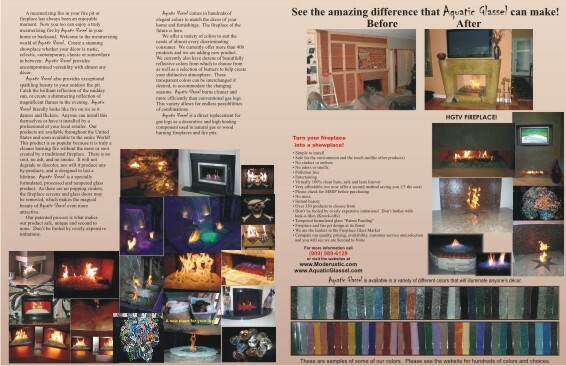 Your more than welcome to send yours for us to post. 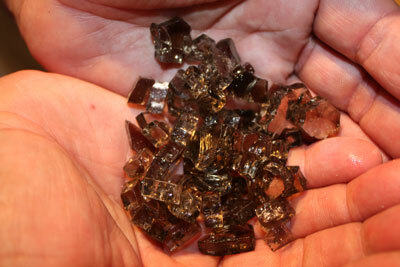 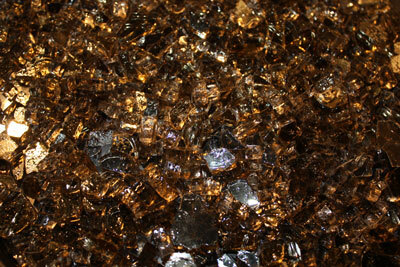 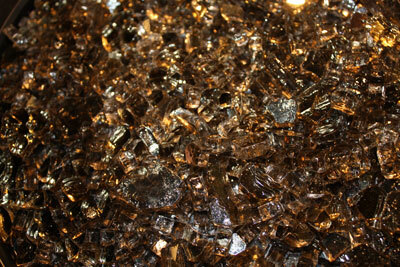 Bronze Base Glass and Bronze Reflective Base Glass, Ice Ice Ie Topper, Gold Base Glass and Yellow Amber Topper. 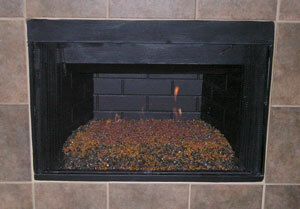 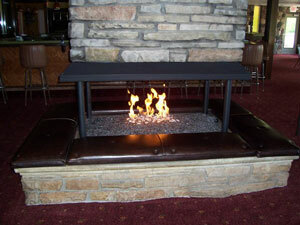 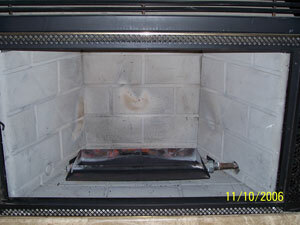 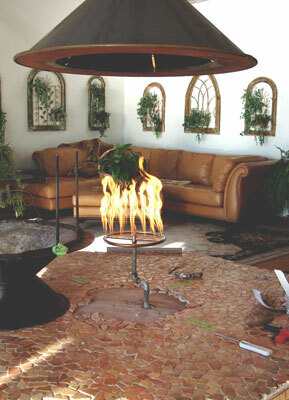 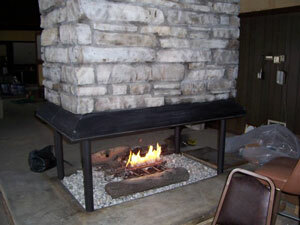 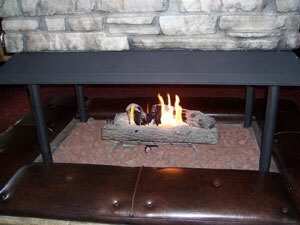 This fireplace is in Shawano, Wisconsin at the Cotton Patch Restaurant. 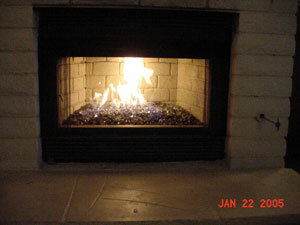 E mail Patti and tell here you saw her fireplace. 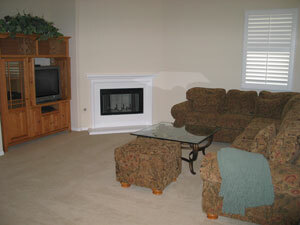 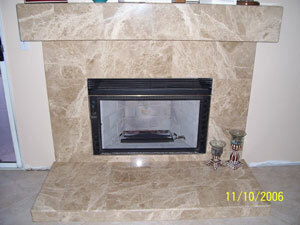 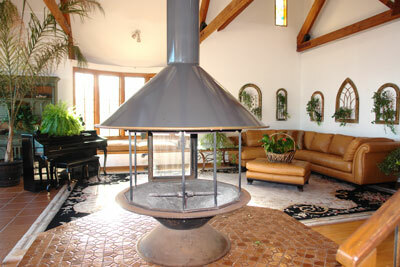 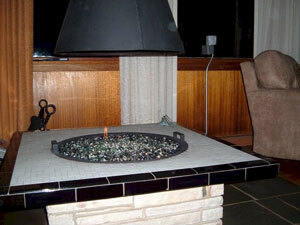 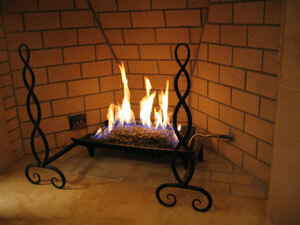 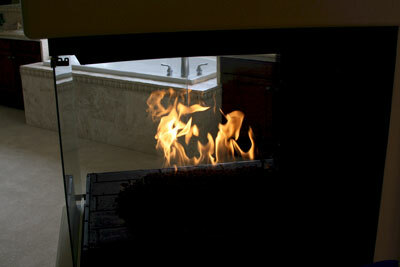 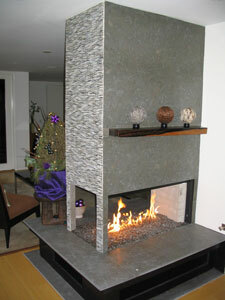 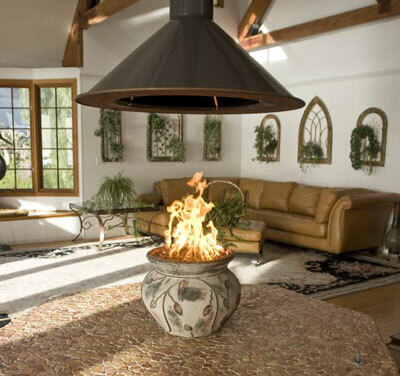 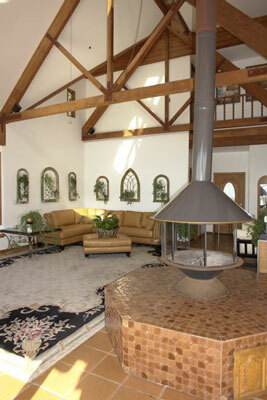 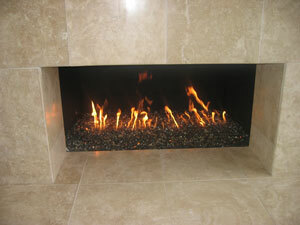 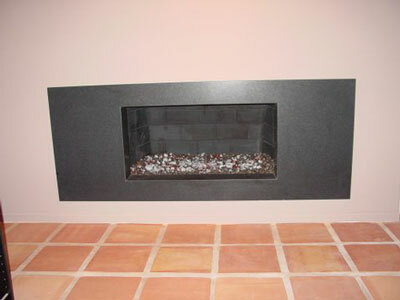 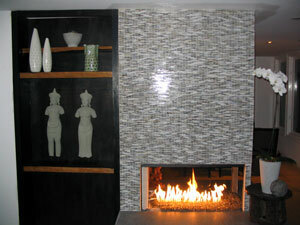 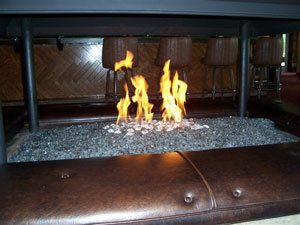 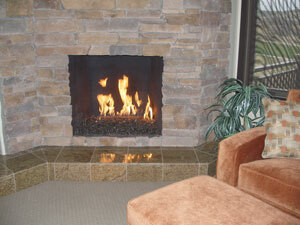 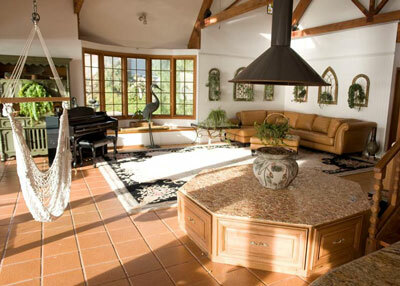 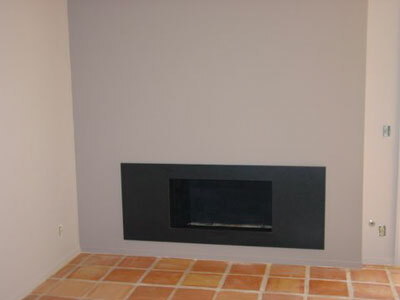 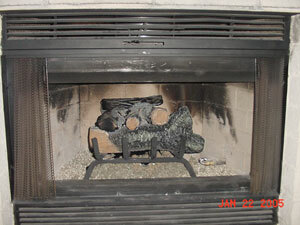 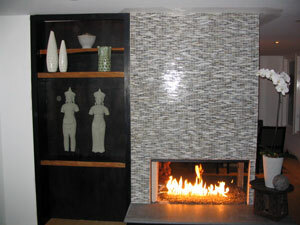 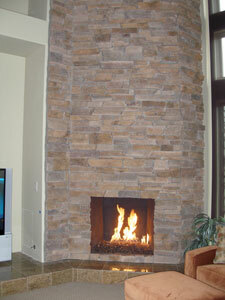 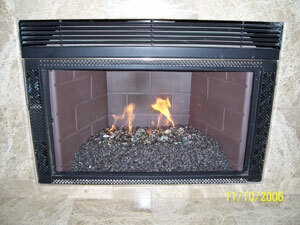 The fireplace below is in Rancho Mirage just east of Palm Springs California. 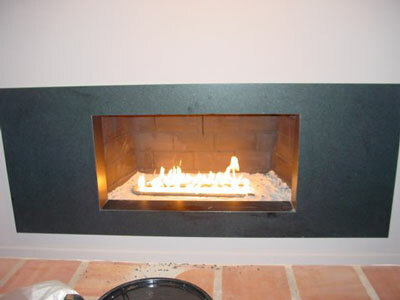 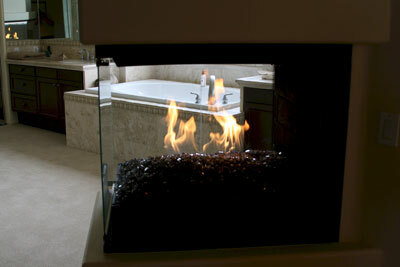 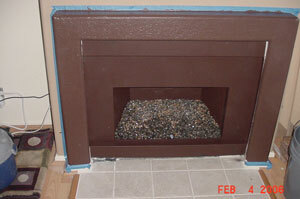 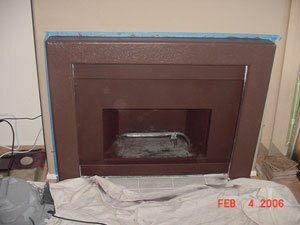 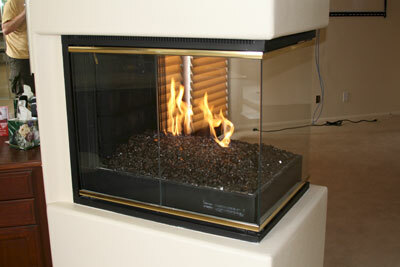 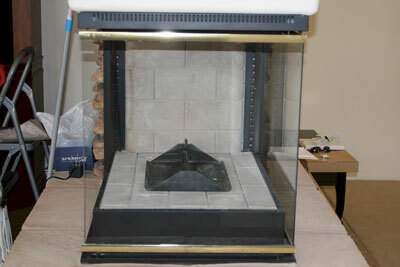 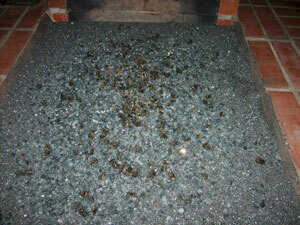 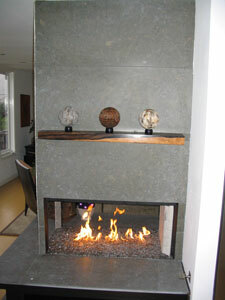 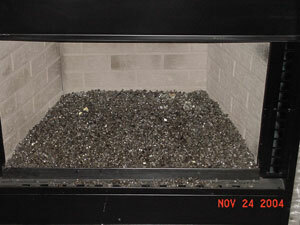 This is a direct vent fireplace and we used a Bronze Base Glass and Bronze Reflective Base Glass on top. 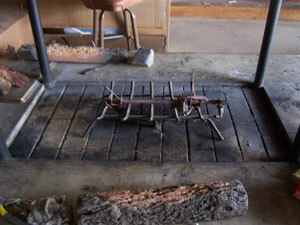 We use the original burner as it would do just fine. 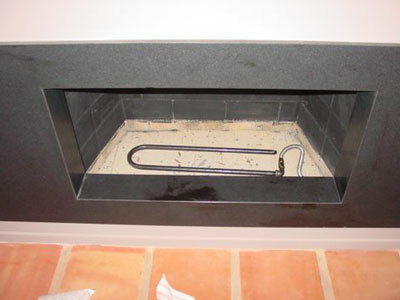 We are also cladding the bras with brushed stainless steel and we will post the pictures as soon as we get them. 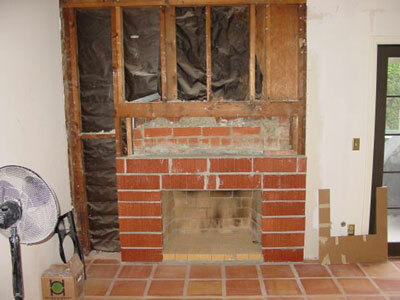 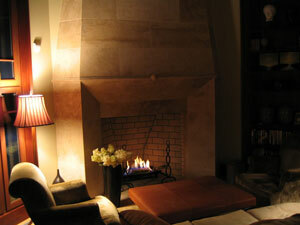 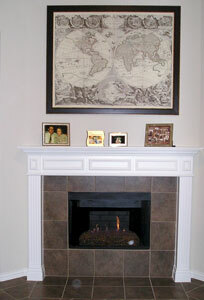 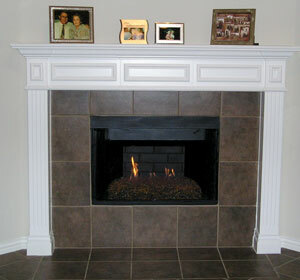 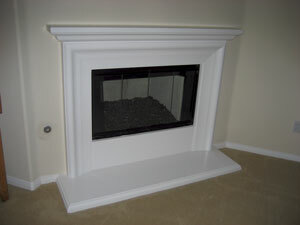 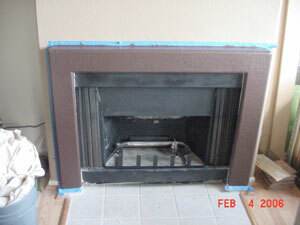 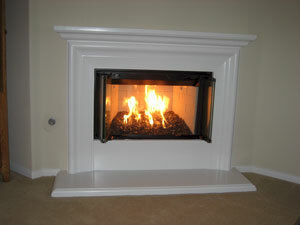 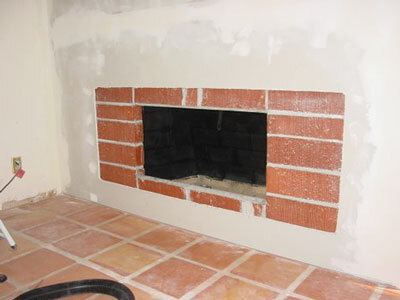 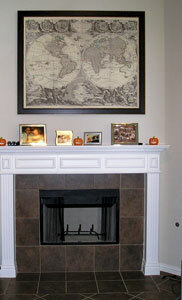 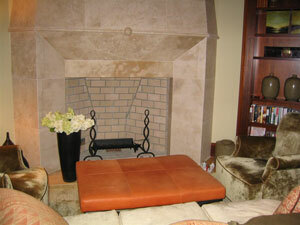 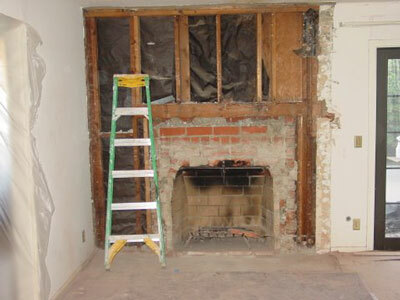 We did two identical fireplaces in this home. 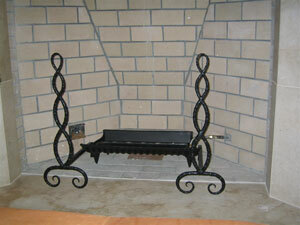 One in the master and the other in the family room. 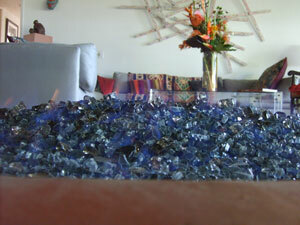 You can tell by the back ground. 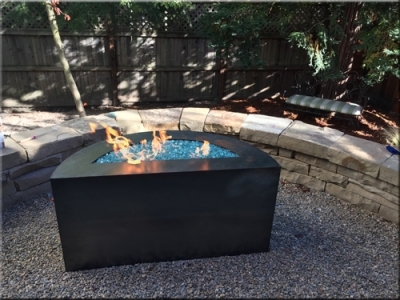 The pictures below will show you how to install a propane burner and valve in your fire pit without drilling a hole in the side of your fire pit with our FPPK (fire pit propane kit). 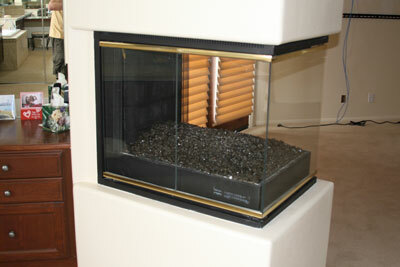 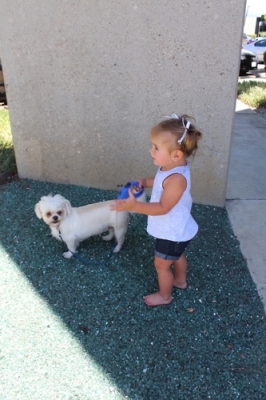 This was install in Calabasas California with Bronze Base Glass and Bronze Reflective Base Glass on top. 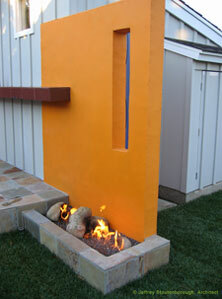 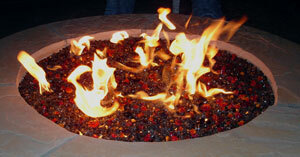 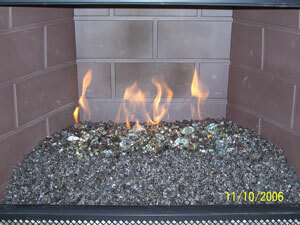 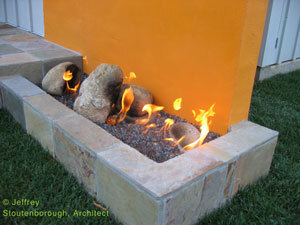 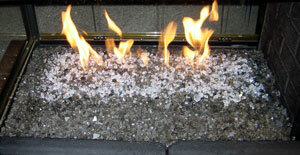 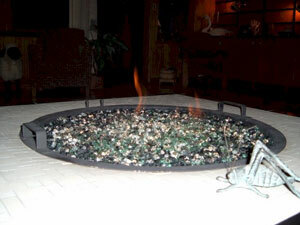 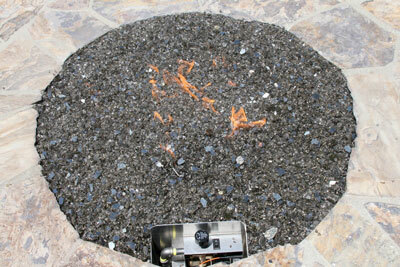 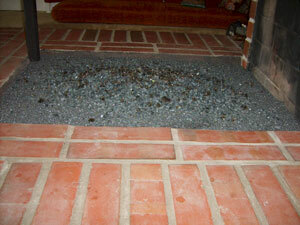 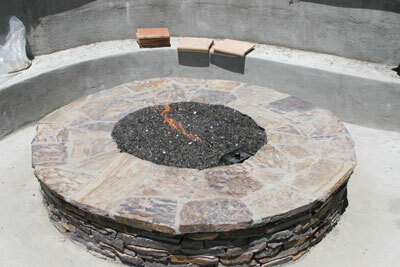 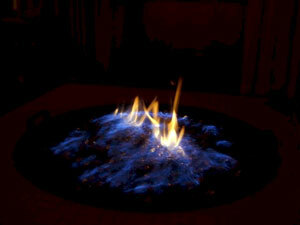 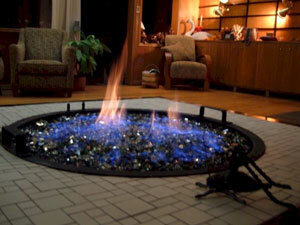 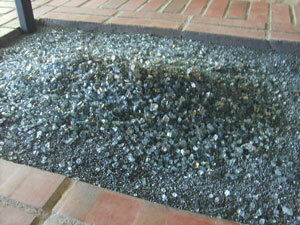 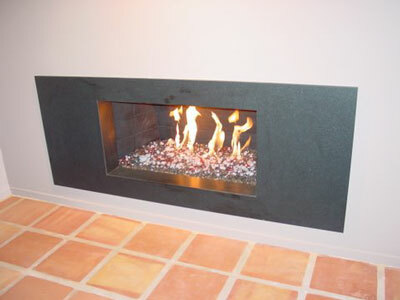 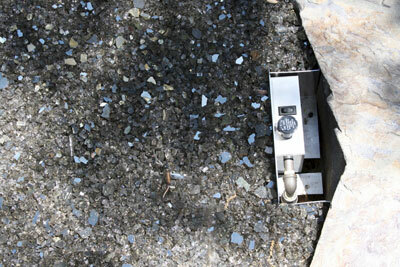 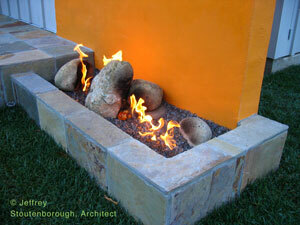 The fire pit has 10" solid sides which made this a good candidate for the FPPK to be installed on the inside wall. 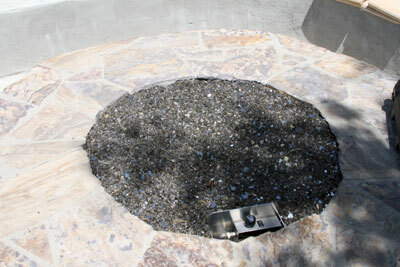 This is a propane fire pit and we do calibrate every valve to every ring we install to eliminate back flow and any problems or issues that may happen. 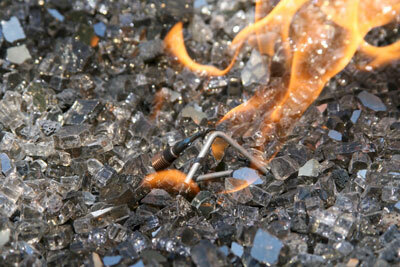 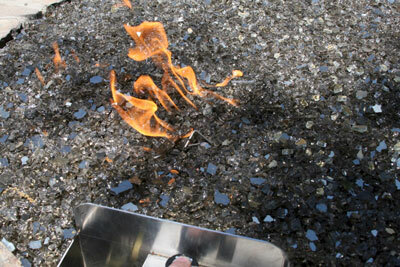 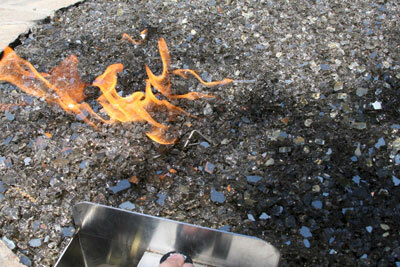 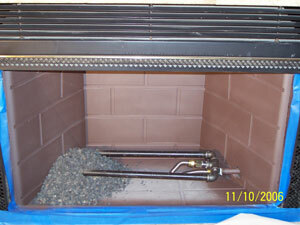 We also install the proper air mixer to insure a clean burn as we eliminate the soot know to be produced by propane. 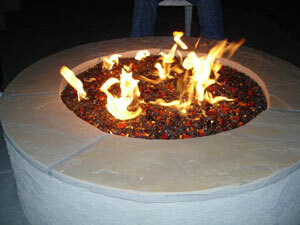 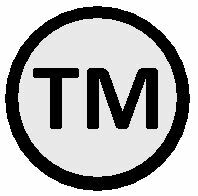 If you have a propane fire pit you know what I am talking about. 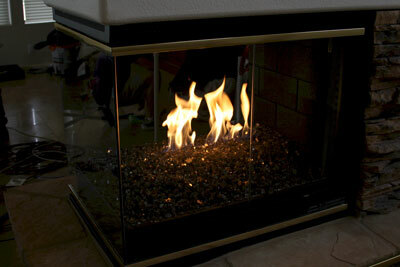 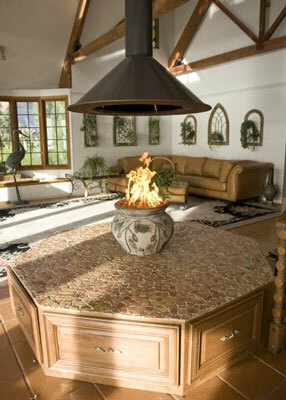 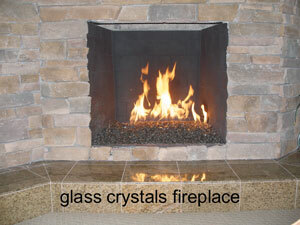 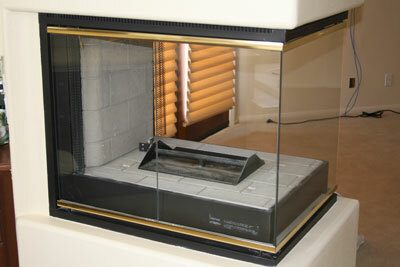 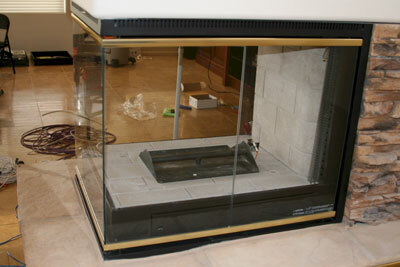 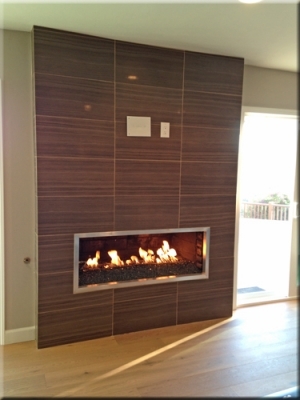 The fireplace below has a base of Bronze Base Glass and Bronze Reflective Base Glass and Starfire Base Glass on top. 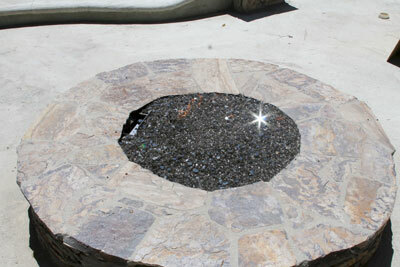 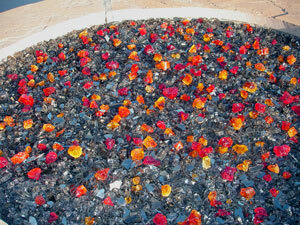 The fire pit below has a Bronze Base Glass and Bronze Reflective Base Glass and Scarlett Topper on top.